Your Texas Estate Plan: Anonymous Purchases of Real Estate, and Thoughts on Series LLC's. Sometimes, you don't want to be found, or want people to know what you own. I'll leave the reasons up to you, but often it makes good business sense to put a layer or two between you and everyone else. Example 1: Someone knocks on your door. It's your neighbor. He says, "I want to lease your property for oil and gas." Ok, you say. He offers you a check for $1000 and a decent royalty interest. You think, "fair enough, I've lived her for 40 years and this place is never going to produce any oil." Example 2: Someone knocks on your door. It's someone you have never met before, but they have an EXXON logo embroidered on their shirt. They say "I want to lease your property for oil and gas." You say, "ok, how much?" They say, "I'll pay you a $1000 bonus and give you a good royalty (same terms as before)." You say, "No way, you are EXXON, you can afford to pay me 100x that." Perception matters. In the real estate business, where margins are everything, a little perception can mean all of your potential profit. So, instead of walking up to the bargaining table as a multi-billion dollar company, we can be EM LLC, and no one would be the wiser. When you buy real property, there is usually (hopefully) a deed. This deed says who owned it before you, and that you are now the owner. You usually record this deed in the county office where the property is located, so all the world knows who owns what. Unless you do not want someone to know who owns what, at least your piece of what. 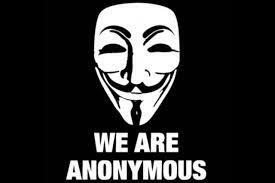 Enter "anonymous" purchases of real estate. In theory, you could own real estate anonymously by never recording the deed of whatever property you purchase, as this is not technically required by law. This makes property difficult to sell however, so that is probably not the route you commonly want to take. Next comes the LLC or Trust ownership route. If you currently own property in your name and want that to become anonymous, it becomes obvious if you simply transfer the property to an LLC or Trust owned/managed by you. A better process would include having several intermediaries in between yourself and the final entity, but this will not stand up to a truly trained eye, either. All you have to do is go to the deed office and follow the chain of title. If you are purchasing from a third party, consider a so called“blind trust.” Trusts are not recorded, and if you correctly set up the trust with a competent trustee that is more than a degree of separation away from you and your entity, you are doing pretty well. However, if you only employ the trust, you can run into liability issues if you retain management and control as the beneficiary of the trust. I would suggest coupling the trust with a limited liability entity, such as an LLC. I don’t love blind trusts, (unless you’re a politician trying to shield personal assets away from potential conflicts of interest you are legislating on), but in a limited use they could serve a function here. In the LLC realm, as of 2009 Texas has approved the use of the Series LLC, which I do like for real estate or other asset based businesses as it provides the ability to separate the liability on a property by property or asset by asset basis. Again, LLC’s require disclosure statements, so it really depends how many layers of the onion you are willing to place between yourself and the potentially prying 3rd party. Coupling the series LLC with a “blind trust” as manager of the LLC is about as anonymous as you can get under the current law. Another recommended route can be to place one of the onion layers in a different state or even a different country. For example, you could have an in-state LLC hold assets, which was owned by another out of state LLC, which was owned by an offshore, say, Cayman Islands entity. This would no doubt offer you the protection you require, but is expensive, tricky to set up, and requires some maintenance to make sure things don't go south. Conclusion: Sometimes you want to be anonymous, and it makes business sense to do so. I always recommend running your business under a limited liability entity (an LLC or Limited Partnership), because the chance that something could go wrong and you could personally be on the hook is always there. In the real property world, it is often imperative you do business like this. For the sellers out there, make sure you know who you are really dealing with. For the buyers, make sure you have taken every step to prevent getting the "Exxon" treatment.